No one is quite sure when the evergreen tree became associated with Christmas. Many believe that for thousands of years the evergreen tree was seen as a symbol of eternal life since it was the only tree that kept its hue throughout the winter. In the Middle Ages there arose a tale that when Christ was born in the middle of winter (not likely), all the trees throughout the forest shook off the snow. During this time as well, the Christmas holiday was celebrated along with the feast of Adam and Eve. During this celebration, evergreen trees would be trimmed with fresh fruit representing the garden of Eden. 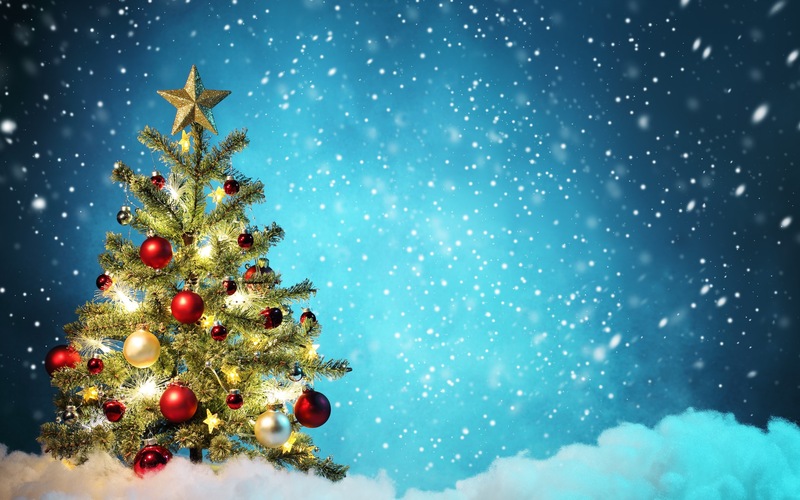 By the 1500s, the areas now known as Germany and the Netherlands and a few other places began to celebrate Christmas with these trees as symbols of life. Churches would have an evergreen inside them with pyramids of candles next to them to present each family in the church. Eventually the candles migrated to the tree itself beginning the tradition of lighting the tree. The placing of presents under the trees came later as the tree became a central symbol of the Christmas season. One tradition early in the gift exchange tradition was that of wrapping the gift several times. Each time the gift was wrapped, a person’s name was placed on the wrapping. The gift was given to the outermost named person who unwrapped the outer layer and then handed it to the next name. No one would know exactly who the gift belonged to until the last layer. To me, Christmas trees represent so many wonderful things about Jesus. I see the evergreen tree itself as a symbol of life eternal and a precursor to the tree upon which Christ hung. I see the lights that twinkle as the light of Jesus shining in all of his followers. Each Christian is a light in the kingdom of eternal life. They also symbolize those who have gone before us much like Hebrews 12:1-2. The decorations on the tree are a celebration of the goodness of God. We don’t have one of those designer trees in our house. Our tree is filled with ornaments that represent different times in our lives. We have ornaments from when we were children and when our children were born. We have ornaments from each of the places we’ve lived. We have ornaments representing the things we love to do and those things that define us. Every ornament is a celebration of God’s guidance and provision in our lives. The star on top reminds us to seek Jesus the way the wise men did when they followed the star. The first ornament that goes on our tree is a single square nail. This nail resents the savior whose birth we celebrate, but who would later give his life as a ransom for all people. This nail reminds us that the gospel, the life, death and resurrection of Jesus, is the greatest gift God has given His creation. The Christmas tree is just a symbol used to be a reminder. It is not the center of the Christmas story. It is not the meaning of Christmas. However, it can remind us of what Christmas is all about and how gracious our God has been to come to this planet and be born, humbly, as a baby in a manger. I pray that each of you has a Merry Christmas this year, and that you remember and celebrate Christ every day of the rest of your life.